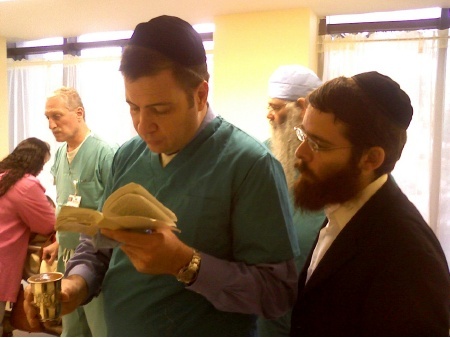 Three-year old Matthew faced massive obstacles to his Brit Milah; He was born by an emergency C-section, and his mother was hospitalized immediately after his birth. Once his mother, Lisa, was healthy enough to plan his Brit Milah, she did not know who to contact or how to find out about arranging the Brit Milah; It was very important for Lisa's family, but they simply did not know what to do. 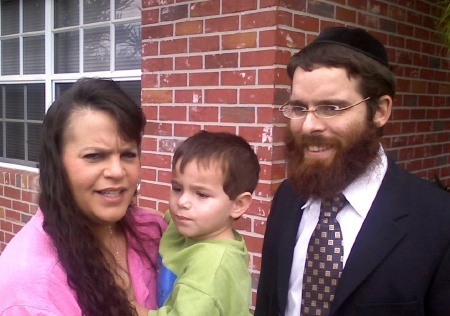 Just before Matthew's third birthday, his Aunt happened to meet Rabbi Oreal Rivkin at a supermarket. At this meeting, Matthew's Aunt happened to mention his need for a Brit Milah. Rabbi Rivkin took her contact information and passed it on to Brit Yosef Yitzchak, for assistance arranging the Brit. Brit Yosef Yitzchak staff soon discovered that Matthew's mother had multiple medical issues that made it impossible for her to travel for her son's Brit Milah, but his age required medical services that were not available nearby. After exhausting every possible option for performing the Brit Milah locally, Brit Yosef Yitzchak arranged a private flight on a chartered air ambulance for Lisa and Matthew to transport them to Miami for his Brit Milah. Lisa and Matthew were escorted both ways by a nurse and Brit Yosef Yitzchak staff. Matthew and Lisa Arrive Home After His Brit Milah.